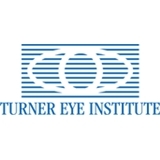 Turner Eye Institute (Castro Valley) - Book Appointment Online! Turner Eye Institute has been dedicated to providing LASIK and cataract Surgery, comprehensive ophthalmology, laser vision correction, and the most advanced refractive surgery procedures since 1976 to San Francisco and the Bay Area. Our distinguished record of excellent results assures you of receiving the highest quality of personalized medical care from a highly trained and experienced clinical team. In addition to providing LASIK Surgery to San Francisco and the Bay Area, we also provide the entire spectrum of FDA approved vision correction procedures. Turner Eye Institute has provided LASIK surgery in San Francisco and the greater Bay Area to tens of thousands of people, allowing them new visual freedom and exciting new opportunities in life. LASIK surgery in San Francisco and the Bay Area is both safe and effective. I have high anxiety when it comes to the optometrist due to a traumatic event in an office years ago. She was very patient with me during the comprehensive exam and was also very thorough when summarizing my eye health! I left the office with a good idea of what my next steps are!